IRIS Inspection machines unveils its latest software release at this September’s Glassman Europe exhibition in Lyon. Visitors to the event will be able to assess the extended features of the 2018 Evolution Software as part of this world premiere. With headquarters on the outskirts of Lyon, IRIS Inspection machines is among the international glass container industry’s most innovative suppliers of cold end inspection technology. The company specialises in the development of camera-based, non-contact inspection solutions, offering a range of equipment to satisfy the precise requirements of the world’s leading glass packaging manufacturers. More than 15% of turnover is invested in R&D every year, illustrating the company’s focus on increasing the precision of hollow glass inspection and the detection of defects in order to maximize productivity in the glass container manufacturing process. The latest example of this commitment is the release of the company’s 2018 Evolution Software. Innovative features of this specially developed software include new defect algorithms for better and more precise identification and extended inspection, with a generalization of all detection tools, body finish and base, to non-round articles, specific shapes and engraved articles. Improved repeatability of article orientation is assured, with new base inspection tools included as the recognition of engraved zones etc. Glassman Europe 2017 takes place at the Cité de Congrès, Lyon on 6-7 September. 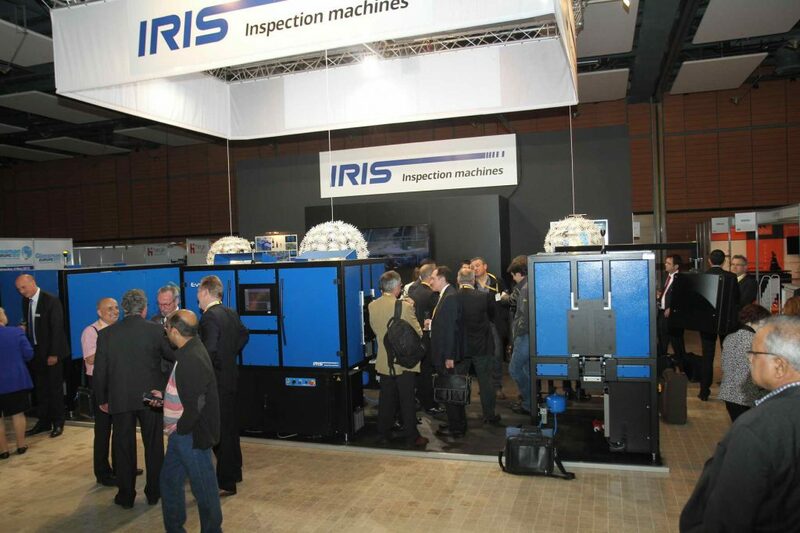 Attendees are invited to visit IRIS Inspection machines on Stand No E01.